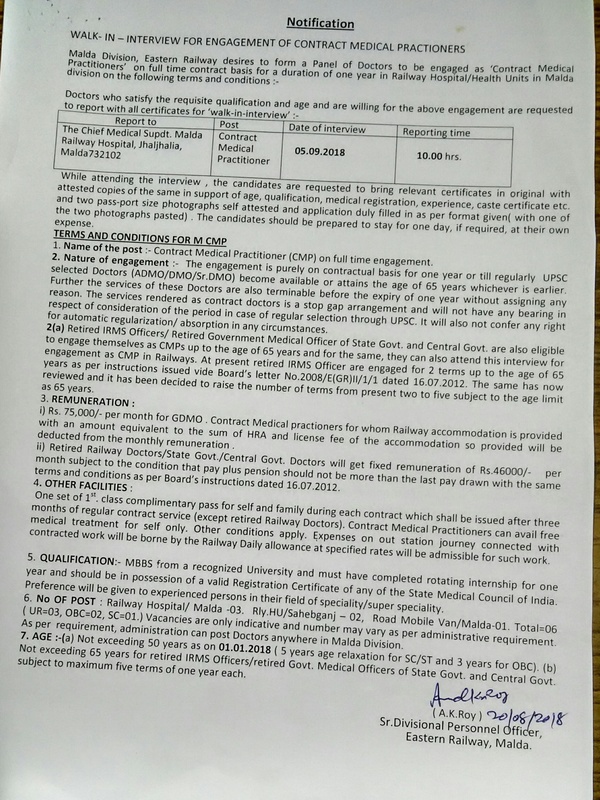 East railway contract is looking for enthusiastic and talented candidates to fill 06 vacant posts of medical practitioner. Recently, Eastern Railway has given a vacancy advertisement for Eastern Railway recruitment. To complete this recruitment process, Job Apple, who wants to make a career in the public sector, can participate in the walk-in interview at the place given on September 5, 2018. 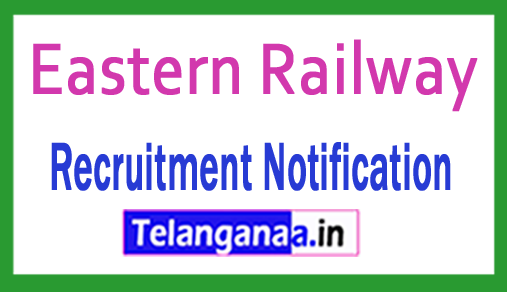 Job searchers can get full details about Eastern Railway Recruitment 2018 through this page provided by the team of www.telanganaa.in. Eligibility Details: Those candidates have minimum qualifications because candidates desiring to apply for Eastern Railway Jobs should have an MBBS degree from a recognized institution. Candidates who are willing to apply for their upper age limit for the job, are 50 years from 01-01-2018. An interview will be organized by Eastern Railway to select candidates for the above mentioned positions. How to fill Eastern Railway Application Form? The first and most important step is to open the official site, which is http://www.er.indianrailways.gov.in. Last date for participation in the interview: 05-09-2018. Click Eastern Railway Recruitment Notification here.